Quaint and Quirky: Shabby Apple Gift Card Giveaway! Shabby Apple is an absolutely adorable online clothing shop. I'm pretty sure that they are the clothing embodiment of Quaint and Quirky! Their fashions are vintage, modest, feminine, fun and liveable. Shabby Apple not only offers regular women's clothing, but maternity, new mom, child, and preteen styles as well. 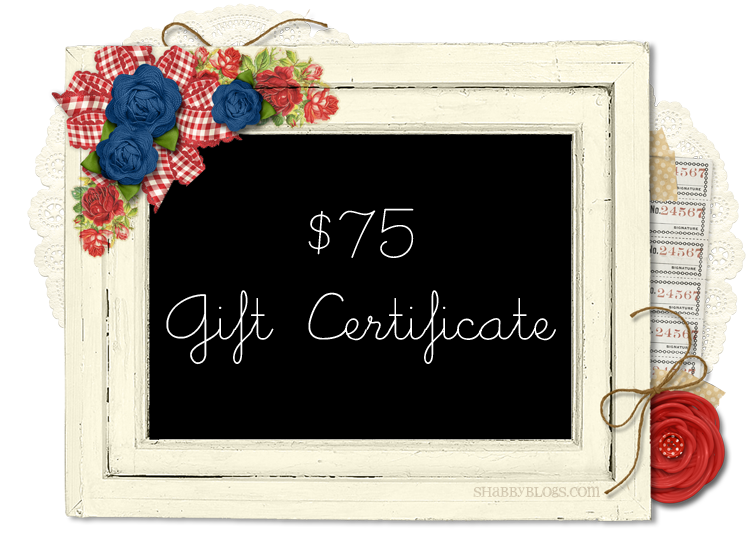 I was so happy when they contacted me to give away a gift certificate on my blog! Yes, a $75 Gift Certificate to Shabby Apple! To enter, you MUST do two things. Like Shabby Apple on facebook: Shabby Apple's Facebook Page. Next, visit Shabby Apple's website and pick a favorite piece (or outfit). In your first comment, tell us which item you like the best! If you'd like additional entries, share a link to this giveaway on facebook and/or twitter and comment again telling me you did so (one comment for each one). Make sure to leave a way to contact you! I will keep the giveaway open until Friday, August 17, 2012. I will then pick a random winner and announce by Monday. This contest is open only to those with US Shipping addresses. Shabby Apple has also generously offered all blog readers 10% off for one month using the code quaintandquirky10off ! Have fun dreaming about what YOU would buy! I think I'd have to try the Streetcar skirt -- though it's difficult to choose just one thing from their website! I love the Twin Palms dress... so vintage and summer-y! Like them on FB and I'm loving the "Desert Modern" maxi dress. It looks so elegant yet comfortable! I like Shabby Apple on Facebook, and I adore the Rhapsody dress! I love the block party dress! Love the kids line of clothes!!! There is no way I could pick just one...so how about one of each... super excited. I like them on Facebook, and like the Overboard dress. I like shabby apply on fb! I ALREADY liked them on FB :) And I like the Bali Ha'i dress. Like them on Facebook and love their website! I think my favorite is the Mariposa Grove dress...so green and fresh! Yummy! I like Shabby Apple on facebook and love the Bernini dress! I'm a fan of SA! The Forbidden City is my fav! I like them on Facebook. (I like you and AJ too! ;)) I like the Key to My heart necklace. I like shabby apple on FB and the waterfront dress is my favorite! I live their maxi dresses and I like them on FB. Thanks! I like Shabby Apple on FB, and my favorite item is the Bon Voyage dress! I like Shabby Apple on Facebook, and I'd love the Baciami dress! I like Shabby Apple on facebook (FB name: Madeline Brubaker). My favorite dress is the Pont Neuf. liked them on fb and I love the Ahoy dress! I love the purple sheath dress! I liked Shabby Apple on Facebook, and I adored all day dresses, its difficult to pick one. I like the Tigris dress! It's so vintage looking. i like sa on fb. love the i'm late i'm late dress! I like the Silver Belle kids party dress in 2t! I like Shabby Apple on FB. Love the Inca Trail Dress! I shared Shabby Apple love with my friends on Facebook! I hope I get a Shabby Treat! I like so many. And now they are just introducing their new animal print / zoology line! Right now my most favorite favorites are the Garden Isle, Primavera, and Puca Pucara dresses. I love the cha bella dress! I like Shabby Apple on facebook as Et Pruitt, and the El Capitan dress is my favorite. I like Shabby Apple on fb. And I love the Confidential dress! Well I just discovered this company! love the beauty & simplicity of their classy clothes! I'd love to have a new dress :) I like so many things but what caught my eye for the style & color was the blue Sacred Falls dress. I liked their page & scoped out their site! Thanks for the chance!!! I like Shabby Apple on FB as Holly Storm-Burge & I love the Sunset Boulevard dress. Thanks! I like Shabby Apple on FB as Mechele JOhnson. I would chose the botanical dress for my girls! So cute! I love everything from the Jazz collection! LOVE!!! I am pretty sure that it's impossible to pick a favorite item. If I must, it's the cecily pencil skirt found here: https://www.shabbyapple.com/p-1010-cecily.aspx. Even if I don't win, I'm glad that you introduced me to this site!! I liked them on FB! Thank you for the giveaway. My favorite outfit is the Jacob's Pillow polka-dot dress. It's so very fall and fun. I like Shabby Apple on fb (Allison Marie,) and I love the Beauty Mark dress! I LOVE the Desert Modern dress! And shared the giveaway on my page. I like them on facebook & I like the ballerina! My favorite item of Shabby Apples is the Kenya Dress! And I liked Shabby Apple on Facebook. Cute clothes! I like Shabby Apple on fb and my fave dress is the Arripidae. I like the Be Mine Valentine Necklace! I also liked on FB - name Jennifer Lynne Peaslee. Thanks! I really like the Summer Wind dress! Like Shabby Apple on FB ( Kimberly C); love the Look Of Love dress! I like the SHANGHAI dress!